Step 2: Select the multiple contacts you would like to add a note to by selecting the check marks on the left side. 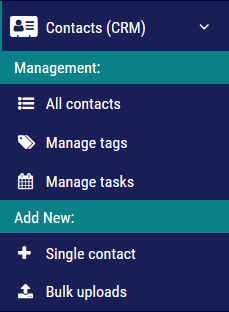 Step 3: After you have the contacts selected, Click on the notes icon by Mass Actions on the top of the page. Step 4: A pop-up window will appear for you to add your note to all selected contacts. Type your note then click Save to complete.